Skye Fall is located about 25 minutes drive north of Fort William on the A82. It is fairly isolated but as a consequence beautiful and unique. 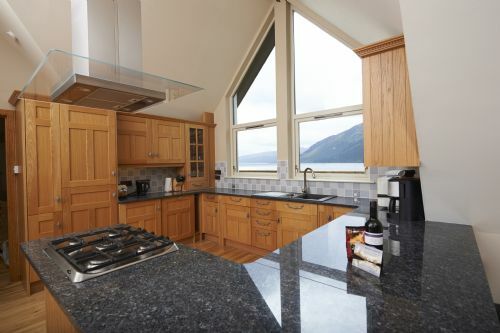 Its location on a hill over-looking Loch Lochy could not be better; the views from the property are stunning especially early morning and in the evening. The house itself is incredible. Wonderfully laid out and styled with double beds, en suites and TVs in each bedroom. The master bedroom on the ground floor has a mattress which feels like it’s lost its spring (especially compared to the other 2 mattresses) but that is the smallest gripe in an otherwise perfect house. We would go back in a heartbeat. Stunning. We loved our stay at Skye Fall. The location is breathtaking with fantastic views. We visit Scotland every year and this is the best self catering property we have ever stayed in ! We arrived at Skyfall on a beautiful Saturday morning so were able to fully appreciate the fantastic location the house occupies. I cannot speak highly enough of the property so gave the ratings excellent to all topics. Well deserved. Unfortunately the weather was not so kind to us so we did see unfortunately the wet side of the area. The Letter Finlay Lodge was closed for total refurbishment so had to venture a little further afield to dine out. Take a trip to Fortrose to see the wildlife, and a another day to venture out to Skye, you will not be disappointed. I certainly would recommend Skyfall to anyone. I hope we can revisit with you in the future. Amazing location and stunning property....just sitting on the balcony was a holiday in itself! Everything you need and be iews to die for! This property is located 6 mile north of Spean Bridge just off the road way and right on the Loch side. The property is big and spacious and the rooms are spotlessly clean. The houses amenities cover all requirements and the outside seating area is large but would benefit from some more outdoor chairs. The view from the house is spectacular, especially in the mornings when the mist is clinging to the mountain tops. This property is ideal for couples and families though, in the absence of any local shops at this location you would be well advised to bring along provisions just to get you settled in. Large modern house providing spacious accommodation in a beautiful setting. Fantastic location on the loch, all the better if you happen to have a boat. All mod cons and the house is comfortable and quiet. We loved it. We had mobile reception (O2) in most of the house with low speed mobile internet on the upper decking. 4g internet was available down near the jetty and I'd suggest that an external 4g antenna might well be the most cost effective solution to providing internet to the house in that location. The existing satellite internet if as expensive to run as suggested is not really useable when a phone could easily download hundreds of MB pretty much by accident. A beautiful home in a stunning location . Magnificent views across the Loch and mountains. Truly Gods country. This amazing home make our holiday perfect. Highly recommended! Excellent location to explore Loch Ness, Fort William, Route to the Isles, etc. Very comfortabel house. We had some trouble getting used to the lay-out of the house with the dining room being downstairs. I cannot express enough how good this property is. The room sizes are generous to say the least, the two balconies are delightful, the views are exceptional and the location is right in the heart of the local attractions. You are within an hour and a half to Skye, the Cairngorms, Fort William and Glencoe, Loch Ness and everywhere in between. The only downside is that we couldn't stay there permanently! Skyfall has a lovely views over the Loch and mountains. The cottage was easy to find just off the A82. ( Although this is reflected in the noise from the passing traffic ). It was well equipped and very clean. The satellite Broadband is very slow but there is now very good mobile coverage including 4G so we were able to connect using our own mobiles. It was disappointing the jetty was damaged as we also had a Boat from West Highland Sailing ( recommended ). The local pub (100m) is quite expensive for the quality of food and drink otherwise it is a drive to all other amenities. Don't forget the milk. We were very fortunate with the weather so managed to Barbecue most evenings. Overall a very enjoyable stay. This is our second visit to the property and it lived up to the first. Stunning views and great location for exploring the highlands. March 2018 - arrived after a 350 mile journey.. to see the Skye Fall cottage was wonderful it looked amazing..
a beautiful place to stay, shame we did not get the 'hamper' as we were told would be there on our arrival..
was not keen on the bed mattress far too soft.. and the sofas were not comfy especially the grey checked one..
other than that I would recommend this cottage (house).. good location as we travelled west and east . My family and I spent a week at Skye Fall and had a wonderful time, even though it was mid-January. Skye Fall is a beautiful house oia beautiful location and within easy reach of the best scenery Scotland has to offer. The accommodation is spacious, modern and very comfortable. Fantastic location in a superb property that has sublime views. Certainly would come back again soon ! Had a great week at Skyfall. Some small issues need to be addressed. Under sofas had not been swept leaving crumbs and bits of paper and fireplace not dusted. Cracked plates in cupboard which I did write in our feedback last time. But a beautiful cottage. Great place under the veranda for drinks and looking at view even when it's rains. Going back in October 2018. Best Scottish Holiday Ever ! We have holidayed in Scotland for many years in self catering cottages. Skye Fall is by far the best and most luxurious property we have ever experienced. It's location is just amazing . The views from ever window are absolutely stunning. The house was immaculate and beautifully furnished. We would not hesitate to recommend this property and we are already looking at the diary for next year's trip. The location was stunning and the house was also gorgeous we had fantastic views from every room. If we had to mention anything it would be the that in the downstairs balcony there was no where to sit a few seats would have been great. 2nd time staying here and just as good as remember from our first visit. Excellent location and house provides great levels of comfort. We stayed for a week in May/June 2017. The house was if anything even better in the flesh than it looks on the website. Our sons (3 and 5) loved the beach. The local area is stunning. We'd happily go back. Skye fall is very accessible and easy to find . It is easy to get to all destinations and is a great base if wishing to explore. 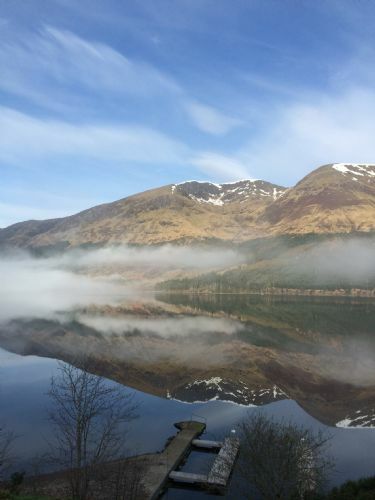 The house itself is wonderfully situated on the banks of loch lochy, and provides dramatic ever changing scenery of the beautiful lock and brooding mountains. It quite simply is stunning. As the kitchen and sitting room is cleverly upstairs, this makes the glorious vista a constant feature. The path Down to the private pebble beach from the garden is wide and easy to ascend and is great for a picnic. The house is warm and everything is well provided, including sturdy pans and fluffy towels. The balconies are a great size for enjoying meals . Deffinately recommend this property. We had a great week. Fantastic even during stormy weather! We arrived to a clean & warm property which was very welcoming. Fantastic views over the loch & the hills behind. Lovely to hear nature around you from pheasants to woodpeckers & the waterfall across the loch when there was no wind. We even saw an eagle soaring over the loch. The views were stunning even during the stormy weather. Great location, with a huge variety of walks within a short driving distance, all with spectacular views. Russells restauarnt in Spean Bridge was fantastic & well worth a visit, avoid the chippy there though. Great Morrisons in Fort William with a fair selection of pubs & restaurants & Fort Augustus was lovely too. Beautiful house in a stunning location, great views of the loch, peaceful and quiet surroundings - will definitely return. Had a great time. Had a wonderful stay. The rooms are spacious and luxurious but the winner is the outstanding views. The outside seating on the upper deck was great so we wrapped up warm put out the lights and saw a sky full of stars - amazing. Would have liked seating on the covered lower deck as I would have been happy sitting outside even when it was raining. Would highly recommend this house. Having stayed at previous "premier cottages", our expectations were high, and we were not disappointed! Location was awe-inspiring, the curtains not being drawn at any time in the week so as not to miss 1 second of the view. The house was spotless, comfortable and well appointed, the garden well maintained and the balconies used every day. The beach and the jetty was the icing on the cake, we were there every day, and at times into the evening / night. The kitchen made catering very easy, and the beds were very comfortable, indeed our Daughter stating they were the comfiest beds she had ever slept in! In summary - an absolute delight and we will be returning! Had a brilliant stay just some small details need to be addressed. Outside paintwork shabby, beading on floor coming away from wall in lounge, stools at breakfast bar needing replaced, dishes are chipped, no salad bowl or servers. We have booked again for next year but we think an increase of £300 is a bit steep. Obviously paying for view which is stunning. 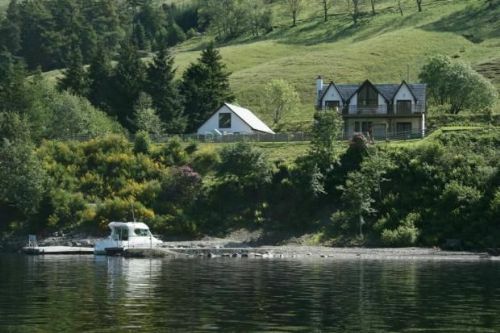 Superb first impression on arrival because of the stunning loch side location and secluded setting. The views were spectacular at any time of day. The cottage lived up to the website description and photographs. The self-catering facilities and entertainment spaces were fantastic, including the grounds and the lochside beach. There were six adult couples in our party and there was plenty of space for us to live comfortably with one another. Local amenities were within easy reach and Skye Fall provides an excellent base for exploring the Western Highlands and Great Glen. We would definitely consider returning for future holidays as a week was not long enough to experience all the area has to offer. Thank you so much for your fantastic review. We are delighted that you enjoyed your stay at Skye Fall so much. Thank you for taking the time to complete your feedback and we look forward to seeing you again at some stage in the future. We are thrilled that you loved Skye Fall so much. Hope to see you again at some stage in the future. The setting us beautiful and peaceful, even the road did not interfere with that. Watching the changing weather coming in is interesting. Our added extra was one morning a beautiful Stag was in the garden eating the Hostas fir husband breakfast at his own leisurely pace, naughty but gorgeous boy. The upside down living arrangements took a while to get used to, however we found it odd that the kitchen was upstairs and dining table downstairs, so as there was only the two of us we ate at the breakfast bar, but in truth this was not that comfortable. We are delighted that you had a fantastic time at Skye Fall. Thank you for taking the time to review the property . My wife and I have just returned from our week long stay at Skye Fall and in all honesty we wish we could have stayed forever. The property itself is nothing short of spectacular, the level of comfort in comparison to any other holiday accommodation we have stayed at is beyond compare - it really was like a home away from home, well appointed, clean, spacious and with all the facilities you need. The location is stunning with beautiful views all around which the property takes full advantage of. 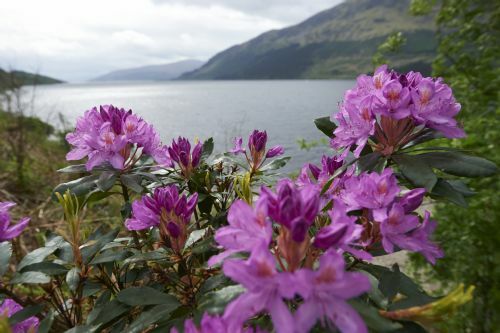 So much to see and do in the local area from the Nevis range to Glencoe, Eilean Donan castle ( a must see), islands such as Skye easily accessible for day trips, Inverness and Loch Ness, the list goes on and on. I don't normally take time out to post reviews but felt compelled to do so on this occasion to highlight the quality on offer here. Would highly recommend this property to anyone thinking of staying. We didn't want to tear ourselves away from the view from all the Windows. When we did,however, the house was spacious,very well equipped with all mod cons and very comfortable beds! Peace and quiet guaranteed! Plenty of good places to eat in a short drive and lots to do no matter your age or wishes. Excellent! We had a fabulous week- there is so much to do in the area- we only did a fraction of it! The accommodation was superb, I don't think we would ever get enough of the amazing view! This property is sited on the main A82, Fort William to Inverness truck road. You can hear noise from passing traffic, it's an intrusion along with the peace & quite. NO mobile phone signal. No telephone in the house for emergencys. Says on website that property has smart TVs & wifi. It's not until you actually book & receive the terms & condtions, part of which says you can only use the wifi for browsing the web & emails. You can't use face time, apps on your phone, download anything or watch movies/catch up tv on devices or laptops. Smart TVs are just free view channels, not all channels available as TVs need to be retuned. Very uncomfortable to watch as they are mounted high on the walls of the property. No welcoming pack or information about the property, apart from what you receive when you book. Information of what to do in the local area is a cupboard full of leaflets, some have seen better days. However, you can complete the cleaning agents satisfaction survey, a nice A4 black leather file sited in view on top of a cabinet. The leather sofas have seen better days & are very uncomfortable. In all an unwelcoming & uncomfortable property, with mixed modern/old furniture. Over priced with no luxury elements what so ever. No thoughts for guests & very disappointing. Had a really good time, fantastic location amazing views, house very comfortable and well equipped. The only item that was missing for us was a bath in the property. After seeing the pictures online we knew we had to stay here. Lochside with a view to die for and if only we had gone at a different time of year we would have made use of the outside decking areas in the evenings. Well appointed with quality furnishings there is a feeling of luxury right through the house. Three bedrooms all with en-suite, and a very well appointed kitchen meant we wanted for nothing. Enclosed garden and steps down to lochside, it only needed a super yacht to be moored for your daytime pleasure. Unusual layout with kitchen, lounge and 1 bedroom on 1st floor (to make the most of the view) and two bedrooms on ground floor with access out to ground level decking area. We shall definitely return but hopefully during summer months. Skye Fall is in a very peaceful and tranquil setting, the quality of the accommodation is excellent, comfort superb and equipped to a very high standard. We thoroughly enjoyed our week relaxing in this beautiful house and will definitely return. We couldn't fault the location and the accommodation here. It was to celebrate a 60th birthday and we were over the moon with the luxury element. Two minor problems were dealt with very quickly by a call to Stephen. One concern would be the drinking water quality. Apparently the supply is from the stream and although the property is fitted with a filter, this is out of date. We chose to buy in water as one of our party ( with a sensitive stomach) was ill.
Also we ran out of gas, so guess this should have been checked prior to guest arrival. Again resolved VERY speedly. How can you not love it! Initial views as we first got there - wow, it's so clean. We then noticed the views and the ability to see the Milky Way and shooting stars was just amazing. It is very remote (6 miles to the spar and about 16 miles to morrisons) but that's what we wanted. Stunning location with an excellent property as a bonus. On arrival it was still light enough to see the Loch, but waking up and looking out on to one of the most scenic locations you can envisage was incredible. 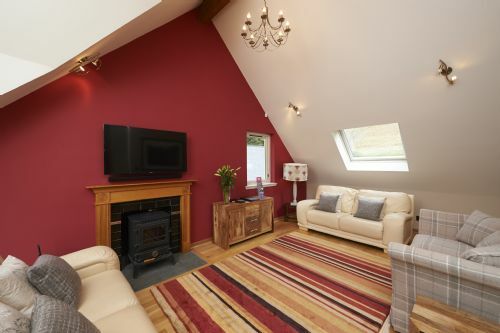 Everything we wanted was available in the property, we used it as a base to tour around, Skye Bridge was just about 75 minutes away and Inverness an hour away it is a great base to tour, plenty of good hill walks in short driving distance it ticked all the boxes. To be able to sit outside in the late afternoon and take in the view was incredible. The cottage is much larger inside than you think and beautifully equipped. Overall it provide us with a great break. We were extremely lucky with the weather and thoroughly enjoyed the fantastic views from the property and the balconies. Everything was in excellent condition and very clean. For our own personal taste, we found it a little too remote with the nearest shop being 6 miles away. However, if we wanted to stay in that area again, I would definitely go back. 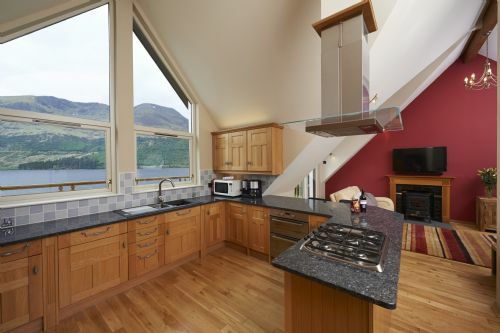 Skye-Fall is positioned on the edge of Loch Lochy with stunning views of the Loch and mountains beyond, absolutely fabulous, I don't think you would find a better view! 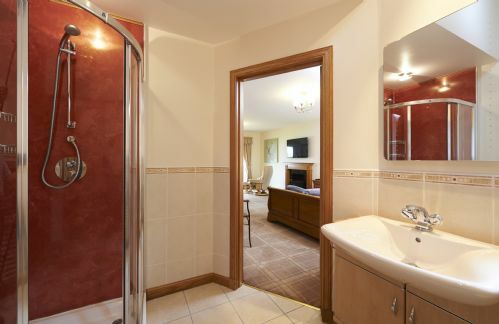 3 en-suite double bedrooms all with Loch views, comfortable beds and luxurious bedding, 2 of the bedrooms being very large too. Living space all extremely well equipped again with views over the Loch and doors straight out onto decking/balcony with table for Al fresco dining. Close to Ben Nevis should you feel up to the climb and Fort William approx 12 miles away. Would highly recommend for get away from it all break. 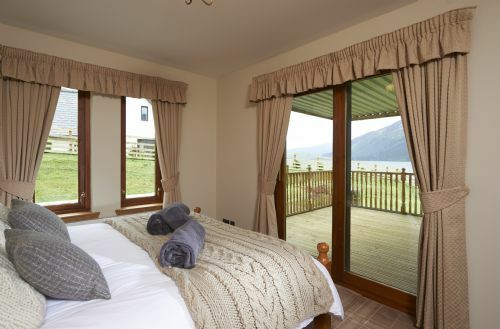 Skye Fall is a 5 star lodge in a beautiful location overlooking Loch Lochy. It was wonderful to stay in such luxurious accommodation and to have such fabulous views which change depending on the time of day and weather/light conditions. 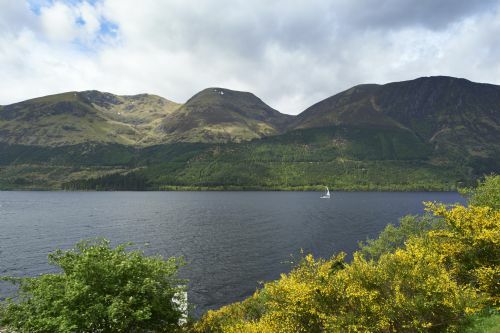 A great location to explore spectacular scenery and to climb Ben Nevis. 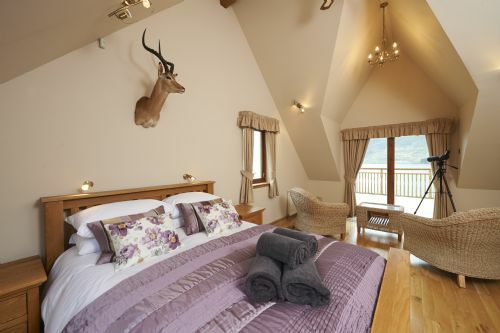 Skye Lodge is a great place to return to and relax in - a real tonic! Skye Fall is set in a beautiful location and is an extremely well presented property. It has been expensively furnished and is equipped with everything you need. It has three double en-suite bedrooms, two of which are a very generous size. This is one of the very few rental properties that I would happily return to: not only is it genuinely luxurious, but there is so much to do in the area that one week is just not long enough. We enjoyed our stay, but would have loved a hot bath or hot tub, after a hard days walking. We found the two leather sofa's quite uncomfortable as they are very low. We thought after a very long drive to get there, it would have been nice to have a "Welcome in pack" not just other people left behind coffer, although the the biscuits were very nice. Except for these small points, we would stay again and recommend it to others. Fabulous property and fabulous views. no complaints - note the kitchen and living area is upstairs - great for views. Comfortable bedding. Not keen on being told how many words I have to write for this review. 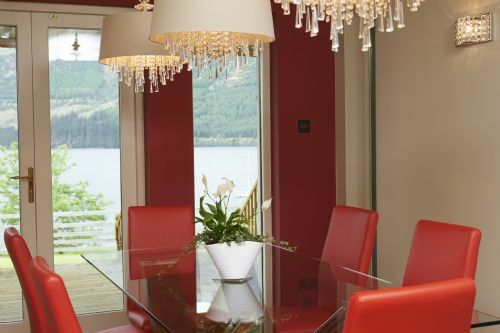 Skye Fall is a beautiful holiday house with magnificent views over Loch Lochy. The ever changing light over the loch provided stunning views. The house is in excellent condition and as ever Stephen & Julie have developed a superb holiday experience. Fantastic house by the loch with the most amazing views. We loved everything about it but it would have been nice to arrive to a bit of welcome. We got there after a long drive in rain and cold weather and the house was cold with no lights on. No milk in the fridge, no bottle of wine ... For these prices we felt this was a bit lacking. Otherwise, our stay was great. The house is spacious and very comfortable and clean. The location is wonderful and we would definitely return. Everything about our stay was first class. 5he accommodation is well styled and equipped, comfortable and spacious. What really sets this holiday location aside from any other, however is the setting 2hich is spectacular. Quite simply the best UK holiday we have ever had. 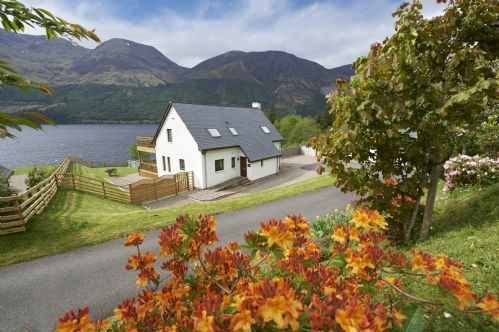 Skye Fall at Spean Bridge in the Highlands, is a truly outstanding property set in the most beautiful of locations. The property is of an excellent standard, everything you could wish for and more. Extremely comfortable, well equipped and the views are stunning! The weather has been fabulous, which made our stay perfect. A must for anyone wanting to explore the Highlands and surrounding area, so much to see and do. We just need to plan when we can go again. A beautiful home in a dream location. We have been spending our holidays in the highlands for the past 15 years and Skye Fall has to be one of the best places we have stayed in. The house was immaculate and had everything you could possibly need - apart from providing logs the owners couldn't make Skye Fall any better. Thank you for another amazing Highland holiday. Simply stunning - not only the view but the house/interior. We were actually please one day when it rained too heavily to venture out - meant we could stay in and relax in the beautiful, modern but homely, Skye Fall. Whilst there, we ran out of superlatives to describe the location, high quality accommodation and attention to detail - couldn't fault anything. Skye Fall is exceedingly comfortable and very well-equipped. Suffice to say we had a most memorable and tranquil holiday, enhanced by the amazing autumn weather. There are stunning yet ever-changing views from the balconies, we enjoyed meandering down to the private jetty and were bowled over by the sheer high quality of the place. It's also a great access point from which to explore many of the Highland areas. What a find! Marvellous stay at Skye Fall, we were so very disappointed to leave! Although we didn't make the most of the beautiful house and views as we were too busy enjoying the fantastic scenery and walks, it made it easier to come back to after a long day.